Check back for updates on this article. 10/2/18 - Congratulations to Chargers Soccer Club and Chargers Development Academy (DA) Alumni Ben Sweat on his call-up to the USA Men’s National Team for their upcoming games in Tampa and Hartford against Colombia and Peru! 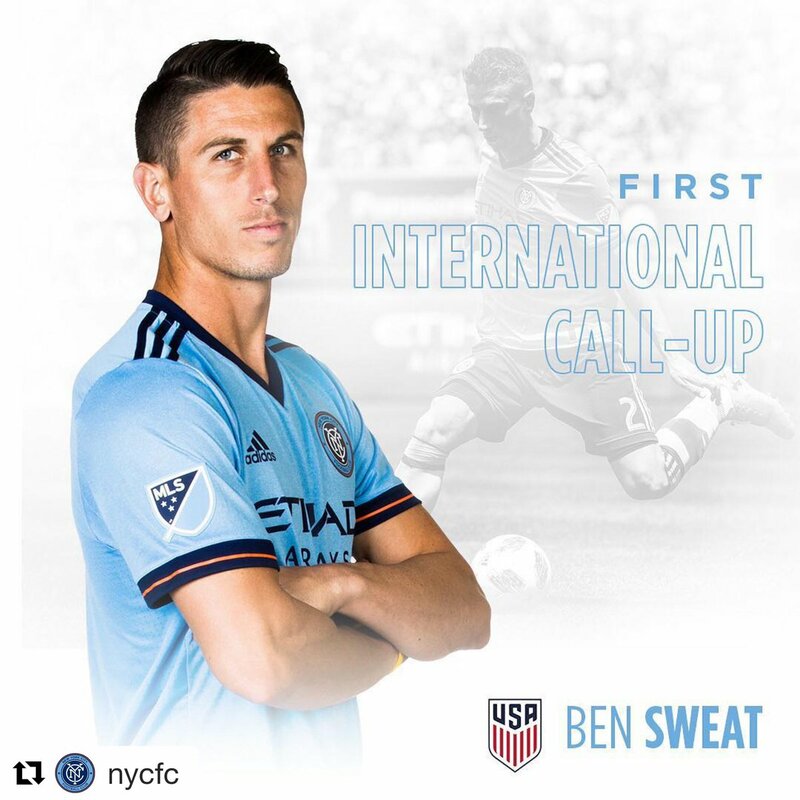 This marks Ben’s 1st International Call up in what has been an incredible journey from the Eddie C Moore Fields in Clearwater, FL to Raymond James Stadium in Tampa, FL. 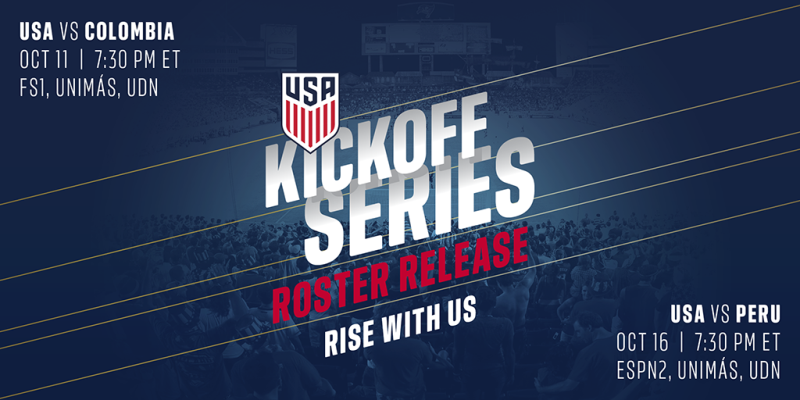 More than 20,000 tickets have been sold for the next stop of the Kickoff Series when the United States will host 14th-ranked Colombia on Oct. 11 at Raymond James Stadium in Tampa. FS1, UniMas and UDN will broadcast the match beginning at 7:30 p.m.
U.S. Soccer reported, “As the MNT begins camp on Sunday in Tampa, Sweat should feel right at home. A native of nearby Palm Harbor, Fla., the left back played for Chargers Soccer Club of the U.S. Soccer Development Academy, collegiately at the University of Southern Florida and professionally with the Tampa Bay Rowdies in 2015-16.” Sweat then moved onto the MLS with NYCFC, where he has been a regular starter at left back in one of the top teams in the league! Ben’s call up continues an incredible year of Chargers DA players and Alumni playing at the highest level and representing USA Youth and Men’s National Team. He is the 8th Charger player THIS YEAR ALONG to represent the USA!! We are so incredibly proud of you Ben and so excited for you to have the opportunity to fulfill your dream of playing for the USA National Team! Chargers Nation will be out in force to support you and cheer for our very own USA Charger! You are an inspiration and example for all of our thousands of young players to emulate!